PA Forward (Star Libraries Program) is a statewide initiative to redefine the library's role in our community. They believe that there are five Literacies, which a person must attain in order to succeed as citizens, parents, students, employers, employees, and consumers. 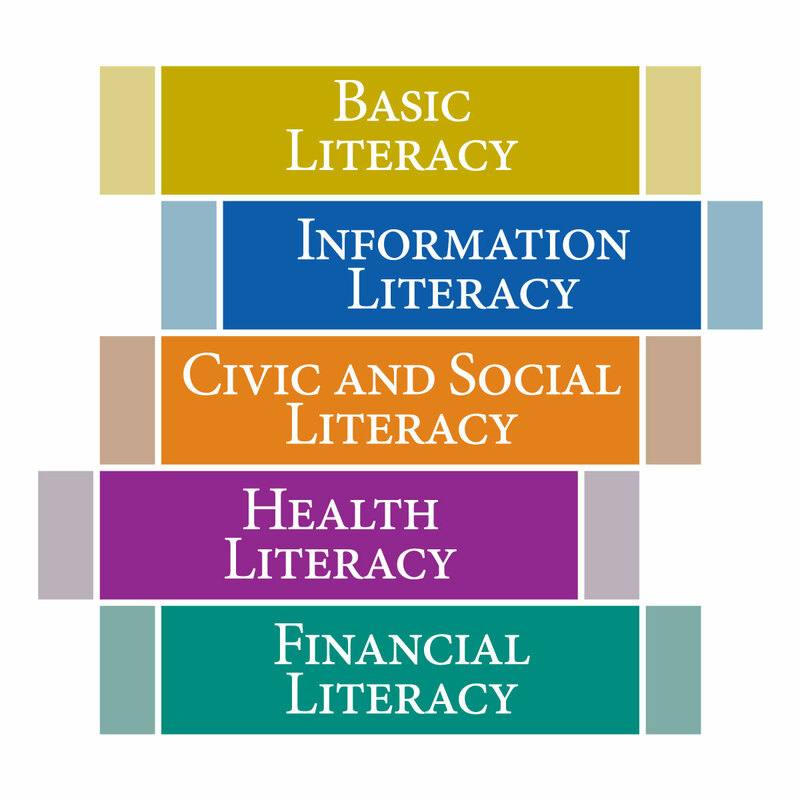 The first Literacy is Basic Literacy. Only 48% of parents read to their preschoolers. Children have watched an alarming amount of hours of TV before they get to kindergarten. Scottdale Public Library is doing its part to help our patrons achieve Basic Literacy. "One Book, Every Young Child". Scottdale Public Library is pleased to join forces with the Pennsylvania Library Association for the statewide initiative, PA Forward | Pennsylvania Libraries.. The PA Forward initiative redefines the library’s role in our Commonwealth within the context of five essential literacies that Pennsylvanians must attain in order to succeed as citizens, parents, students, employers, employees, and consumers. Libraries can do great things to help our community be successful. Helping Pennsylvania to achieve one of the highest literacy rates in the country, a trained and skilled workforce, and a growing economy, tax base, and population. Helping all Pennsylvanians learn how to use online resources and current technology to improve their education, to enhance their job skills, to develop their personal lives, and to fully participate in a digital society. Playing an important role in helping citizens have the knowledge and skills they need to improve their lives, to participate and contribute effectively to their community, government, and society, and to connect with one another through discourse. Playing an important role in helping citizens manage their own and their family’s well-being, and empower them to be effective partners with their healthcare providers so they can live longer, more productive lives. Helping citizens become informed consumers and guide individuals, small businesses, and other organizations to contribute to the economic vitality of their community through innovation, entrepreneurship, and economic development. Scottdale Public Library is committed to this initiative. For more information on PA Forward, look for our library programming with the Literacy logos or go to www.paforward.org.